I am always at least a little scared. It is true. I am always at least a little scared. There are many more, of course, and I tend to focus on these scary things often. They constantly plague my bear brain as I wander throughout the forest. Most of my interactions and decisions are even rooted in these scary things, despite the fact that these scary things are not interested in my every interaction and decision. I am not certain as to how I can change this dynamic. I know it needs to be changed, though. Letting scary things get the best of me serves nothing, not even the scary things themselves. I wish it were as easy as simply ignoring the scary things, but I do not believe it is. Often, it is very difficult to convince my bear brain to not think of a scary thing. Even though I do control my bear brain thoughts and ideas, they do tend to stray and when they do, they tend to stray toward scary things. How can you conquer something that can seem to have such control over you? I suppose, however, scary things do not have direct and endless control over the interactions and decisions I make, despite those interactions and decisions being rooted in my avoidance in scary things. Perhaps this is where I need to make a change or at least try to make a change. The scary things are always there. They are always in the forest, and they are always in my bear brain. However, despite their scariness and their influence, scary things cannot make me do anything. It is a difficult path to navigate, but if I do not try, the scary things win something they do not even seem to want to win. 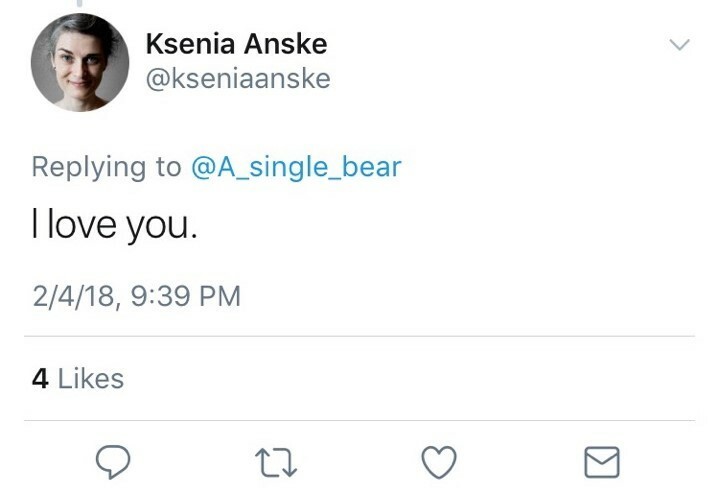 This entry was posted in Bear thoughts and tagged afraid, bear stuff, bear things, bear thoughts, bears, being afraid, fear, humor, I am a bear, scared, social media, the forest, twitter on March 8, 2019 by A bear. My fur and its various states of softness. When my fur has been covered in water, it takes on a unique style of softness. It becomes sleek and shiny. It becomes easy to manipulate and shape. Rain or river water makes my fur a wonderful customizable ballet of individual hairs binding together. This variant of softness does not last too long without water, but it is quite enjoyable while it is around. This style of softness is bit rougher compared to other styles. After a good nap, my fur gets bundled in little tufts. These tufts are not as soft as other variants of fur softness, but they are still generally soft compared to things like pinecones and the teeth of the mice who sometimes live in these tufts. 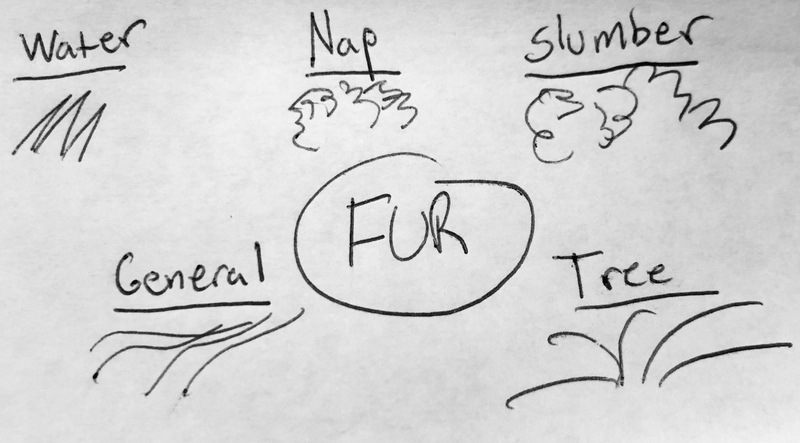 See: fur right after a nap (just more). Without external conditions or variables affecting my fur’s softness, my fur is… just soft. It is wavy and easy to comb through with a claw or paw. It shines brilliantly and requires minimal maintenance or regard. This is the ideal fur variant. It is simple and wonderful. I have been known to rub my fur onto trees. There are many reasons to do this. Sometimes it is an itch. Sometimes I want to know the tree better through its bark. Sometimes I do it without really understanding or questioning why. Regardless of why it happens, I know that after rubbing my fur on a tree, the softness of my fur changes. The individual hairs that make up my fur seem to split apart, losing whatever cohesion or unity they once had. It was not until I rubbed my belly on a tree that I ever really realized this happens (I cannot see most of my back fur). However, it is interesting to see individual hairs that make up my fur stand on their own. It makes me appreciate the individual things that make up the bigger things of the forest (trees: forest; ants: anthill; droplets: river; seven mice and an angry raccoon: dumpster). My fur is in a constant flux of various softnesses. I enjoy every type of softness there is. I like my fur, but I like the possibilities of my fur even more. 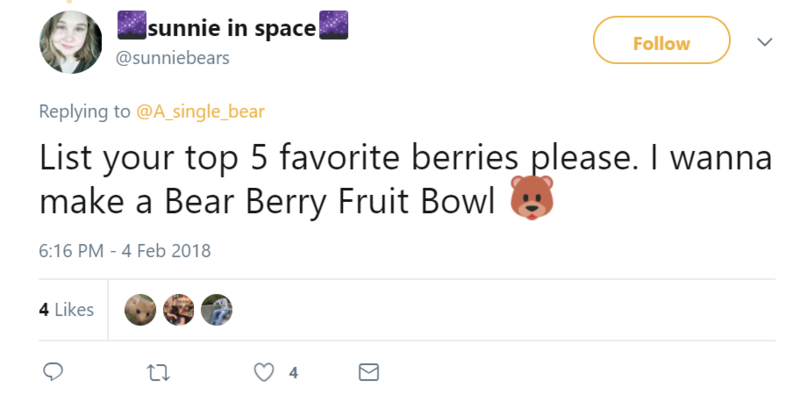 This entry was posted in Bear thoughts and tagged bear things, bears, fur, fuzziness, I am a bear, nature, soft, the forest, twitter on February 22, 2019 by A bear. Hello, I am a bear. 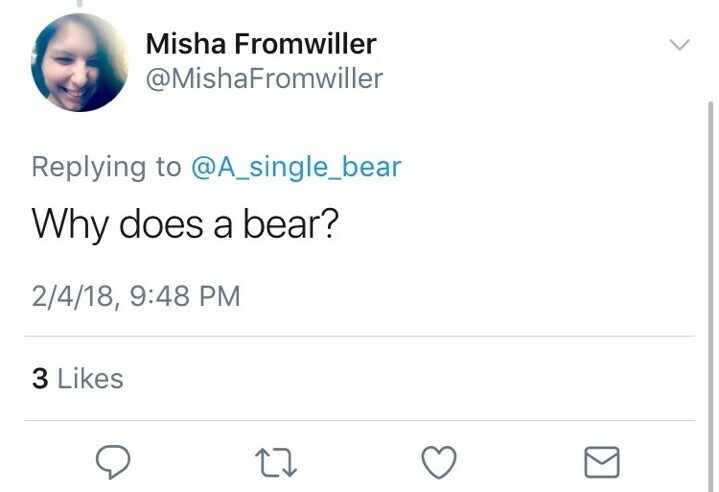 I like to answer questions about being a bear sometimes. 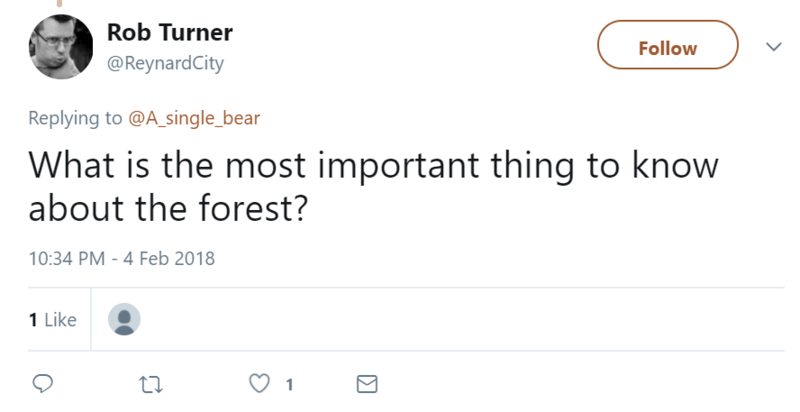 Thank you for reading, and I hope you learn more about bears, the forest, and other topics. (Also, if you wish to see them, I have answered other questions in the past). I would like to wear a hat that compliments my ears and/or nose in some way. I once wore a bird as a hat and it did not go well. The bird was not complimentary in any way… unless cawing loudly and pecking my face is how birds give compliments. Thank you. It is nice to be loved. Or even liked. Or even not eaten on a regular basis, which is something I feel like we should appreciate more. Also, I love you, too. I am a bear. 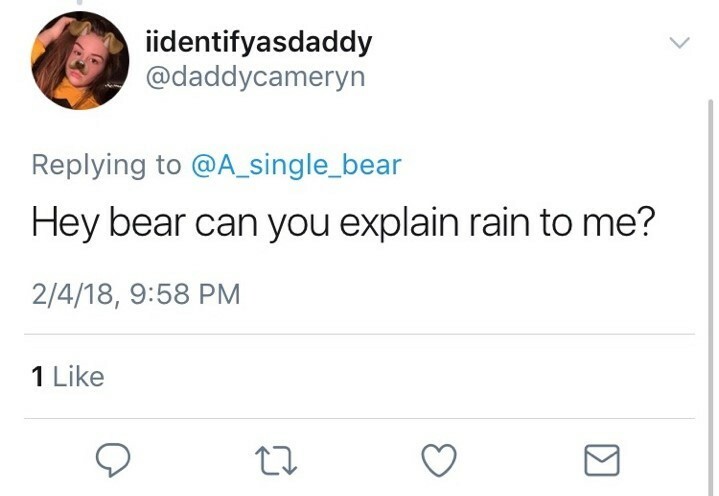 Because I am a bear? This is truly difficult to answer. Both furriness and fluffiness have their benefits and very few drawbacks. 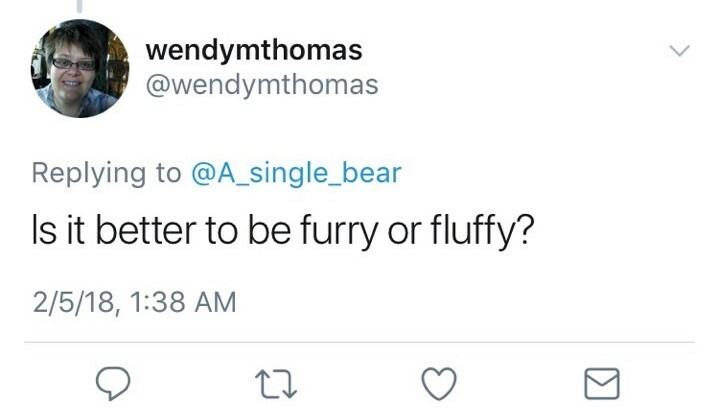 At the end of the day, I would have to say that being furry is slightly better than being fluffy, though. Fur keeps you warm when it is cold outside. Fluff, while aesthetically pleasing, makes it difficult to fit in certain unwatched garbage cans. 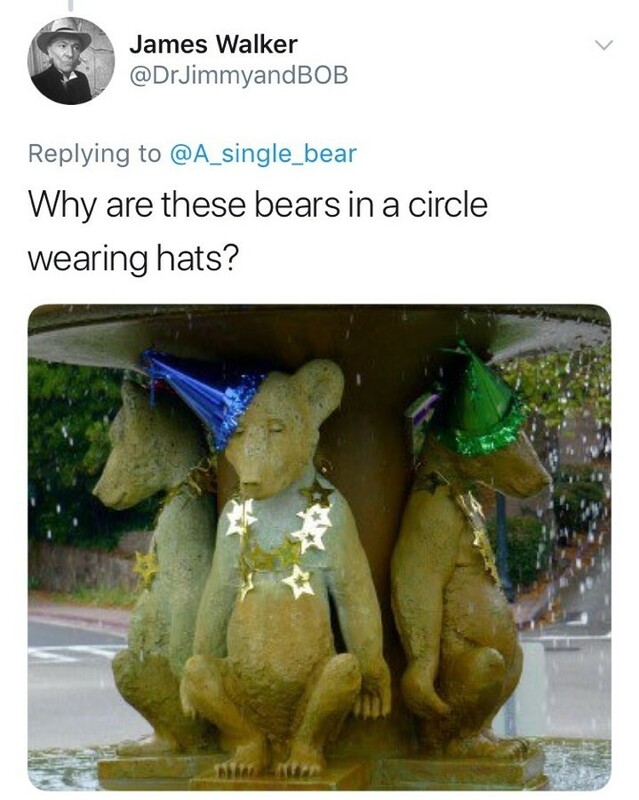 One of two things is happening here: either these bears are engaging in an ancient ritual that will awaken a slumbering terror that has not roamed the forest in a millennia OR they are having a birthday party. Either is plausible. Both involve dumpster bread and dancing. Sometime clouds get very upset and water falls from the sky. I wish I understood more about this phenomenon, but I can tell you that rain is wet. It can be warm or cold. It turns dirt into mud, which is very nice on hot days. It also makes everything soggy, which is good and bad depending on what gets soggy (fur: bad, dirt: good [see: mud]). Oh, no, why am I falling? Yes. Yes. But I still like them. Rabbit skeletons appear to be all the same until you really start to dig into the details of each one. Of course, that is part of the fun of collecting them. Also, you can chew on them, which is very nice. In regard to -ness: I do not think anyone can define your -ness other than you. If somebody tries to define your -ness, it is no longer your -ness as it becomes their -ness, which is a completely different -ness that is not you. In regard to chipness: Most chips I find are covered in some kind of dumpster sauce, so they are never crunchy. They always taste good, though. The forest is indifferent no matter how much you want it to not be. Sometimes that is good. Sometimes that is bad. Bread. Bread is amazing and soft but also crunchy? I do not know how bread does it, but it does. It is very hard to find, and when I do find it, it is usually being eaten by rats or birds, but when I can get a single piece of bread for me and just me, it is an absolutely wonderful moment. I love bread. I think you can obtain an any kind of -ness no matter who or what you are as any -ness is who or what you are if that makes sense. I do not know. I am a bear. 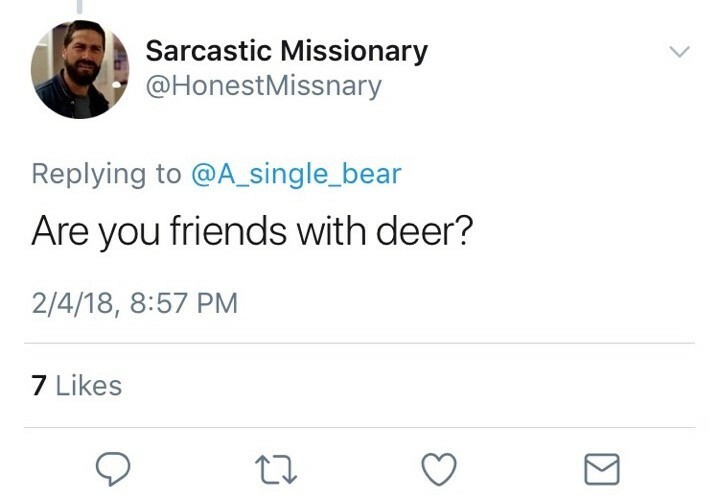 I do not know because I have never been an anything else, but when I see how hard ants work on a daily basis, I begin to think being a bear is probably easier than being an ant. This is very confusing but also fuzzy, which is good. He knows what he did, and I do not think there is any need to discuss the matter beyond that. He knows. It is very nice. It is fuzzy and soft and wavy and makes me feel confident and nice. It also contributes to the magnificence of my ears. Yes, but only in pieces, and it hurts. There is no one way to be a bear or to be or have or obtain a -ness of any kind. Developing that -ness is a personal journey that is long and difficult and confusing and has sidetracks and naps, but it is an important journey because it is who you are. At least one (me, I am a bear). Probably the easiest way to be a bear is to be a bear, but you can also pretend to be a bear by pretending to be a bear. Anybody can do it. I do not know if I am qualified to answer that question, but I do know the things you do for love are going to come back to you one by one. 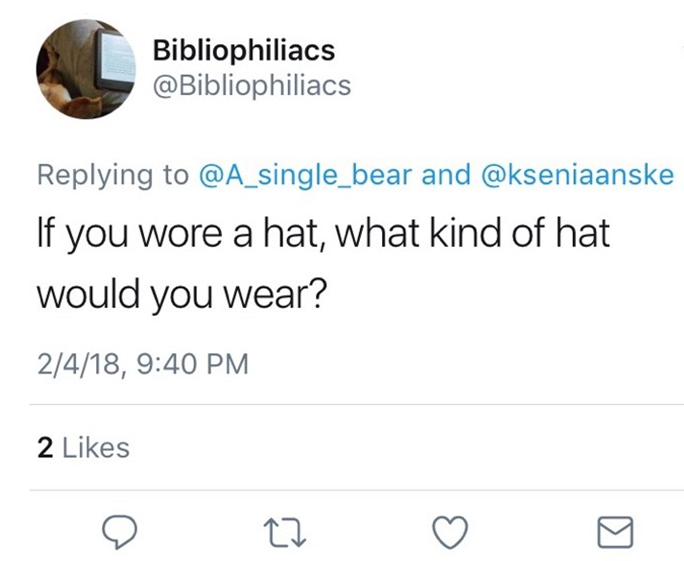 I do not have a hat, but if I did and a rabbit stole it, I would not do much because rabbits are very fast and small and can hide, so I would probably try to rationalize me losing my hat to the rabbit by telling myself that the rabbit needed the hat more than I did, but I would secretly be very upset about losing my hat. Not particularly. I do know sticks come in a variety of shapes, but I cannot qualify them. I am a bear. Thank you for reading this Q&A. 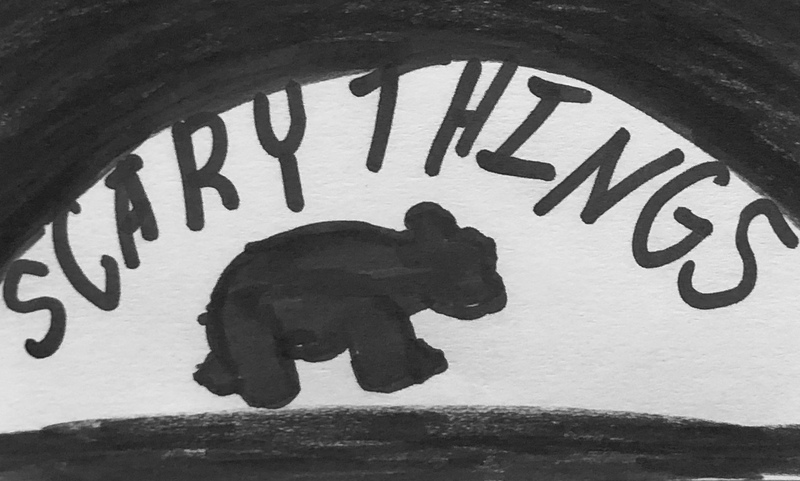 I hope you got to know more about me, being a bear, the forest, and other things. If you asked me a question but I did not answer it, I am sorry and I will try harder next time. 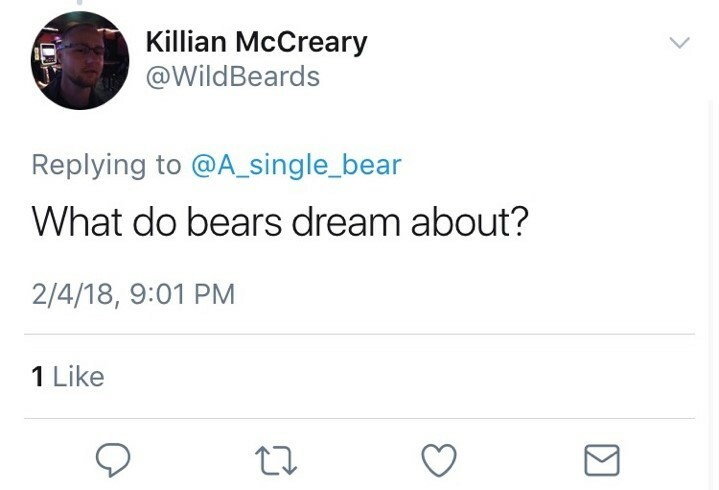 This entry was posted in Questions and answers and tagged @a_single_bear, answers, bears, Q&A, questions, the forest, twitter on February 6, 2018 by A bear. Thinking of the -ness of others. Bearness is a topic I have exhausted time and time again and for good reason: I still do not fully understand it. 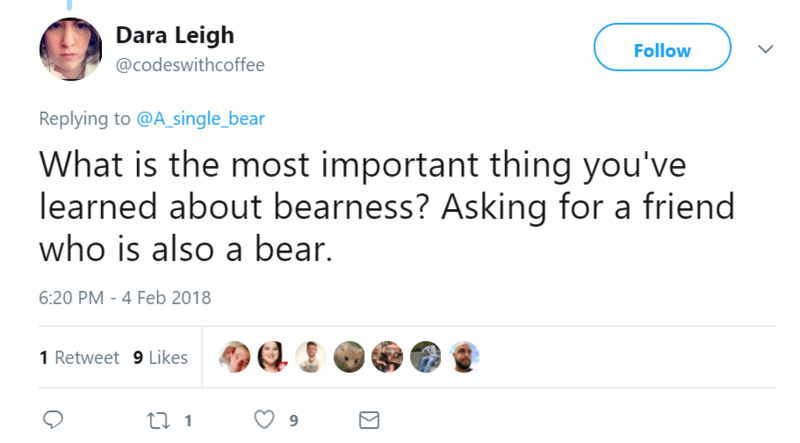 I do not know how or why understanding bearness could matter. I do not know what to do with an understanding of bearness. I do not even know if I am correctly understanding bearness, whether it be bearness in general or my own, specific, bearness. I could probably explore the topic of bearness forever and ever until I am not a bear anymore (though I hope that never happens because I like being a bear). But for all the energy and time I put towards being a bear, I have done little thinking about the -ness of others. I have, of course, explored the surface level of others’ -ness. Trees, for example, have a treeness, I am sure, and I have spent time pondering what that might be like. I have wondered if trees count their branches and their leaves and their acorns as part of their treeness or if each part of a tree gets its own -ness (leafness, acornness, branchness, etc.). I have also definitely wondered what trees think of themselves and their place in the forest and whether or not they think about how I might think about those things. However, when it comes to long-term, truly thoughtful reflection on treeness, I have never really wrestled with it. The same goes for pretty much any -ness: squirrelness, dirtness, dumpsterness, skyness, sunness. Everythingness. I have not invested the kind of dedication I have invested in my own -ness to any of these things. Part of that is because none of these things will discuss their own -ness with me. Even when I ask, I am almost always met with silence and, in one very unfortunate incident, loud crashing sounds (I knocked over the dumpster (sorry)). But that is no excuse, I suppose. Just because something will not discuss its -ness with me does not mean I should remain oblivious to that thing’s -ness. There must be better ways to understand the -ness others. And in doing so, perhaps I can even learn a little more about my own -ness. 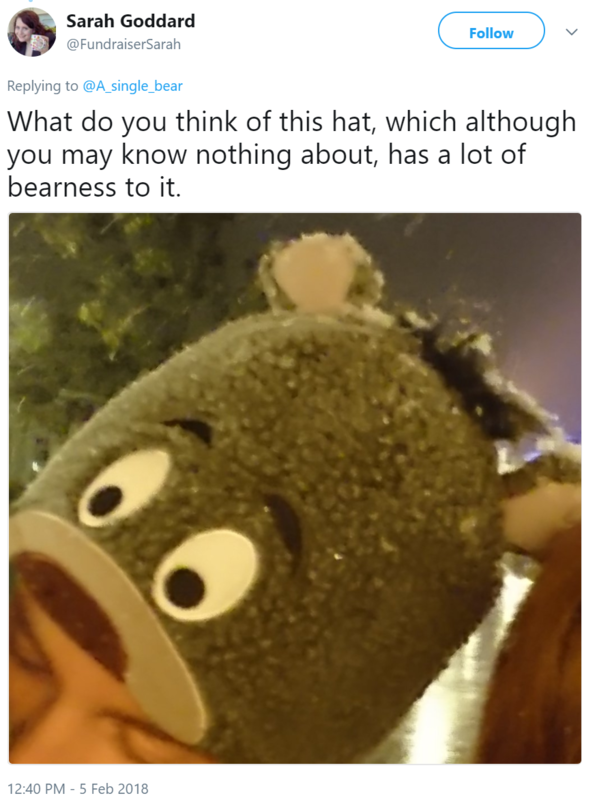 Maybe part of bearness is trying to understand everyone-else-ness. Or at least trying to do so. This entry was posted in Bear thoughts and tagged @a_single_bear, bear blog, bears, blogs about bears, by bears, nature, others, pness, things, thinking of others, twitter, yay on January 8, 2018 by A bear.